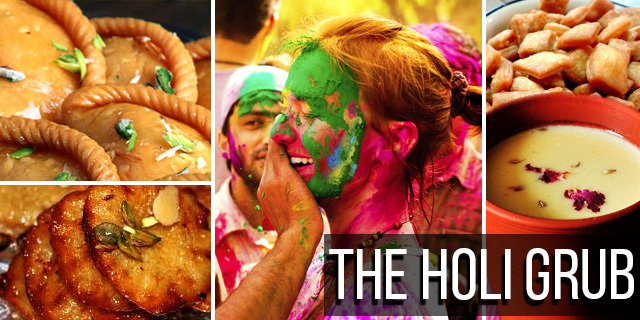 Best Bengali Foods We Bet You Can’t Resist – Durga Puja Special! 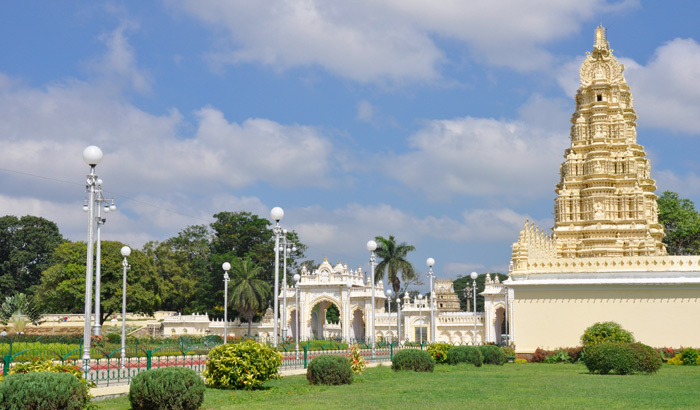 Formerly named as “Mysuru”, Mysore is a city located in the southwestern region of India. The city of Mysore has been a magnet to various Kings of some of the most powerful dynasties that ruled South India. It is said that the Ganga Dynasty, an early medieval Indian dynasty ruled Mysore till 1004 AD. Later, the Cholas – one of the longest ruling dynasties of South India – came into picture that ruled Mysore for almost a century. Later, came the Chalukyas (an Indian dynasty that reigned over parts of South and central India between 6th and 12th centuries) and the Hoysalas that ruled most of Karnataka between 10th and 12th centuries. The story behind the origin of Mysore goes that it was the place where the demon Mahishasura was destroyed by Goddess Chamundeshwari (considered a Divine Mother in Hinduism) atop the Chamundi hill near Mysore and hence, this is how it got its name – Mysore expands to “Mahishasurana Ooru” meaning the town of Mahishasuru. When is the best time to visit Mysore? 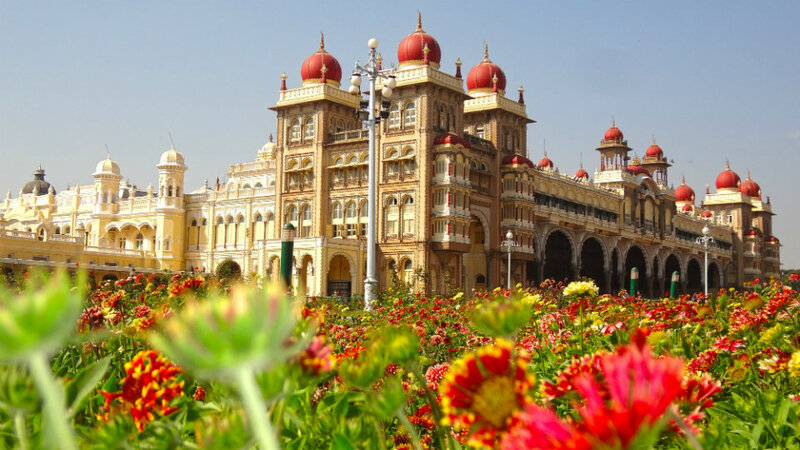 The best time to visit Mysore is October to March. Having evolved from ‘the royal city’, it is now a booming IT hub with a fusion of both traditional and modern attractions. Below is a list of places that you should visit on your trip to Mysore. It is the royal palace of the Maharaja of Mysore and is the most magnificent thing you’ll notice when in Mysore. The ambience of this palace will transcend you into the era of Wodeyar dynasty that ruled Mysore from 1399-1947. 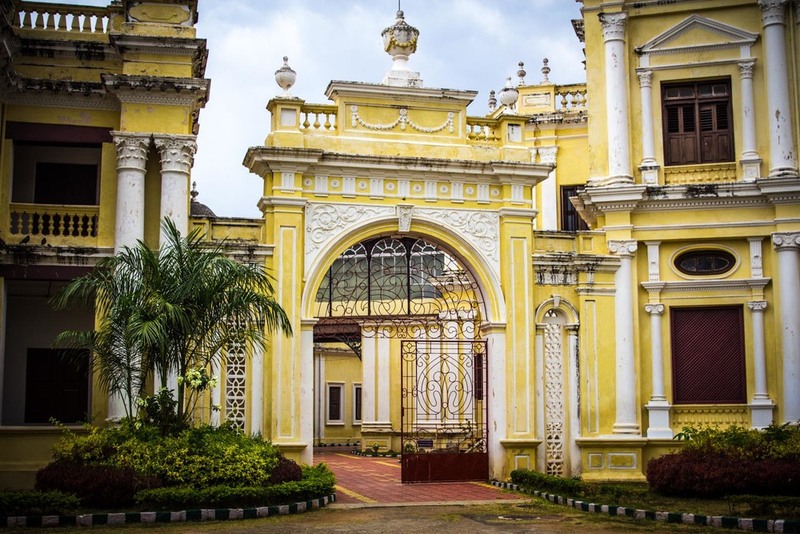 Situated at the heart of Mysore, this palace comprises of Durbar halls, colossal courtyards, buildings and lively gardens that speak volumes of the Wodeyar’s grandeur. As per history, this palace got destroyed by fire in the year 1897 during a wedding ceremony but later, a new palace was constructed in 1912. Constructed in 1861, this is yet another palace that adds to the historical significance of this city. This became the temporary residence of the Wodeyar royal family when the whole structure of Mysore Palace caught fire. Krishnaraja Wodeyar III (the cultural leader of Mysore) built the Jaganmohan Palace for the royal family – as an alternate residence. 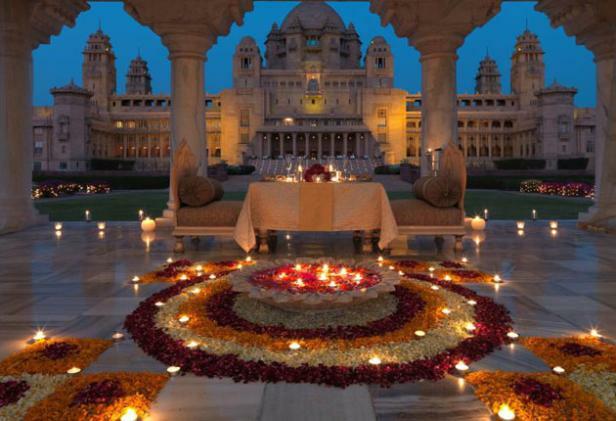 Vrindavan Gardens are one of the most beautifully laid terrace gardens. Built in 1932, these gardens are located adjoining the Krishna Raja Sagara Dam that is built across the river Cauvery. This garden is divided into four sections: the Main Gate, North Brindavan, South Brindavan and the Children’s Garden. These gardens demonstrate a wide array of fruits, flowers ad fauna. 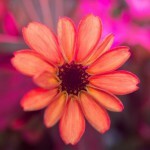 Simply put, it is a true haven for plant lovers and horticulturists. 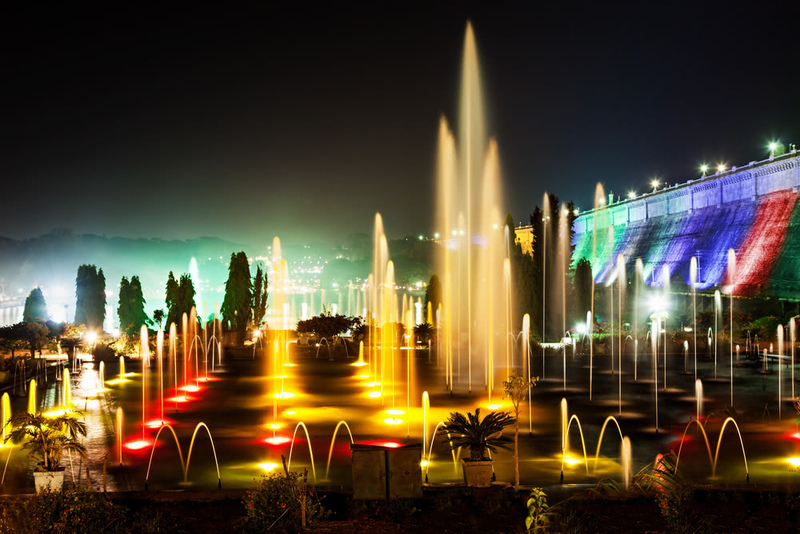 The main attraction of these gardens is how the digitally-controlled water dances in synchronization with the musical fountains coupled with laser lights. The Somnathpur Temple, also known as Keshava Temple and Chennakesava Temple, stands as a symbol of power of the Hoysala kingdom. 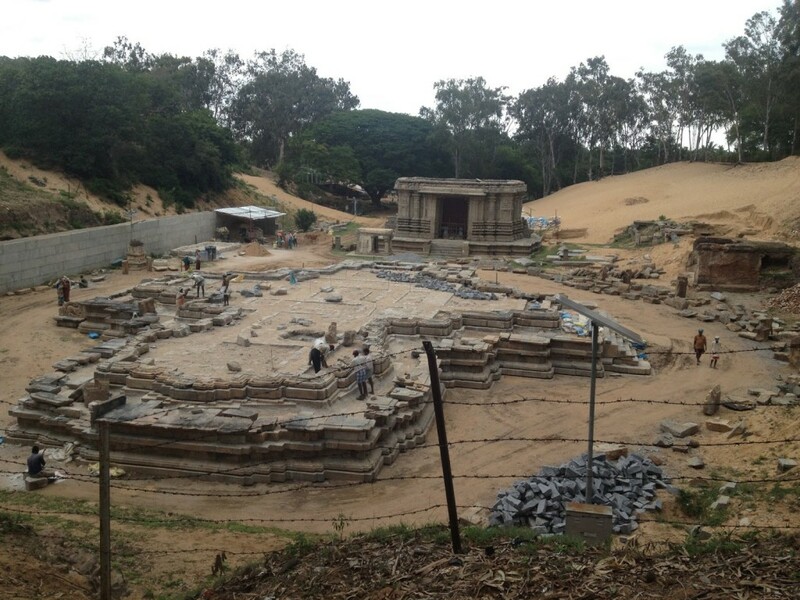 This temple dedicated to Lord Janardhana and Lord Venugopala, is nominated for UNESCO World Heritage Site. It is a place of great value for architecture lovers. 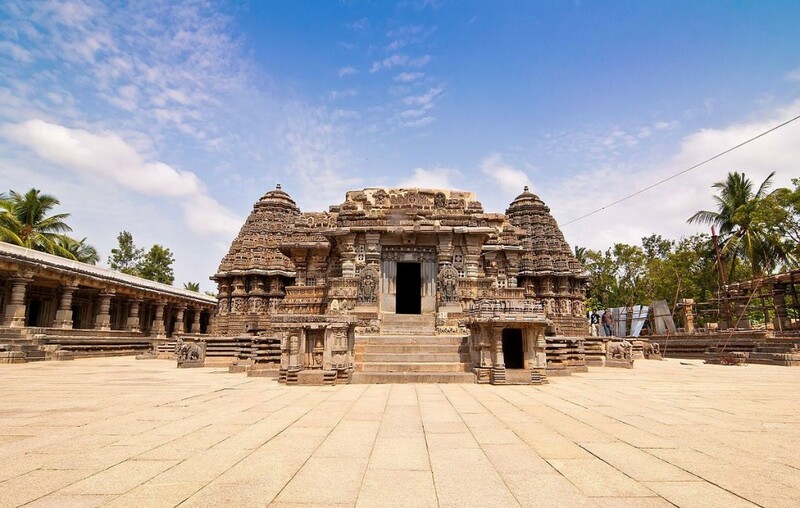 Built in 1268 C.E, it was built by Soma (a commander under the rule of Hoysala King Narasimha III). 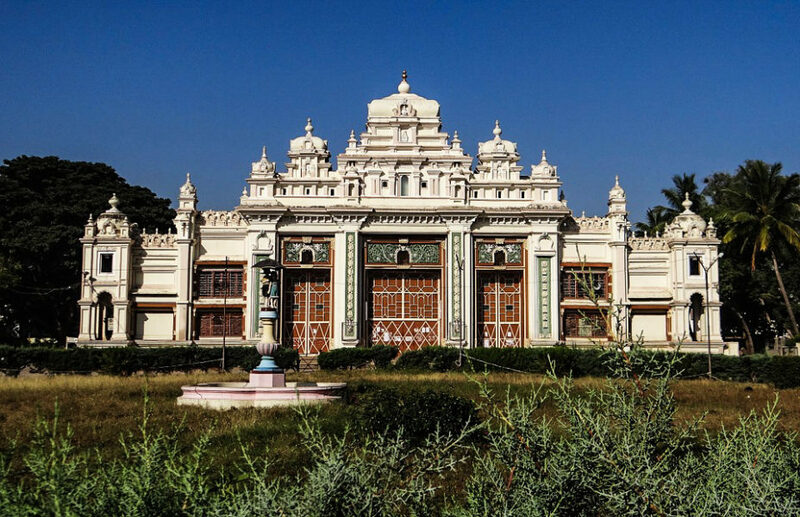 This holy shrine dedicated to three forms of Lord Krishna – Kesava, Janardana and Venugopal, is adorned with impressive architecture, stands on a star-shaped platform. 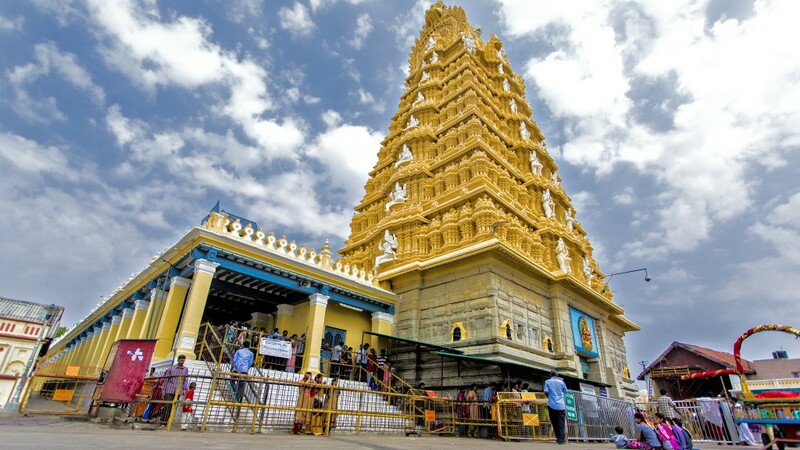 The Chamundeshwari Temple located atop the Chamundi Hills is dedicated to Chamundeshwari, the fierce form of Goddess Durga that symbolizes feminine energy. This temple is said to be originally built in the 12th century during the Hoysalas rule in South India. In olden days, this temple witnessed many human and animal sacrifices which came to a stop in the 18th century. 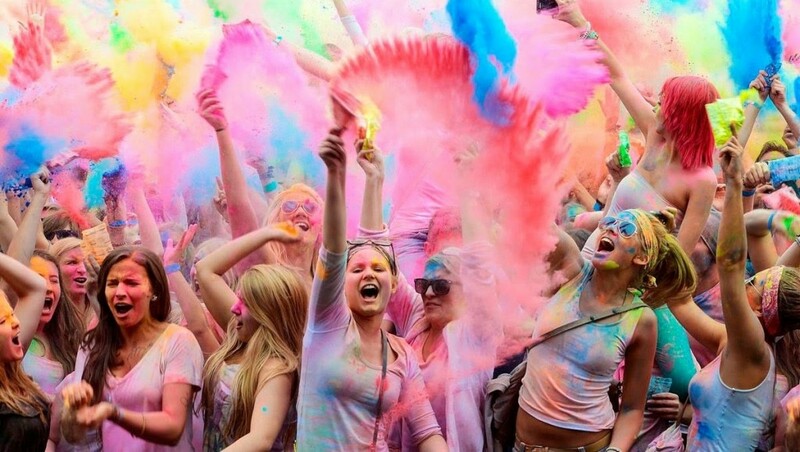 It hosts festivities like the Rathotsava or car festival on the auspicious occasion of Purnima (a full moon day according to the Hindu Calendar) atop the hill. This is followed by Theppotsava, wherein the prime idol of the temple is decorated and taken out for a procession through the tank of the temple, at night. The Trinesvaraswamy Temple is dedicated to Lord Shiva and is located in the north-east corner of the Mysore Fort. The existence of this temple is said to be even before the year 1578. As per folklore, a saint named Trinabindu performed worship to Lord Shiva here. Impressed by his devotion, Lord Shiva appeared here and blessed the place with a Shivalingam that was named as Trinesvara or Trinayanesvara. This is how, the temple got its name, Trinesvaraswamy wherein Trinesvara or Trinayanesvara means three-eyed Lord Shiva. The temples features an enclosure with a huge main entrance adorned with a colossal tower. 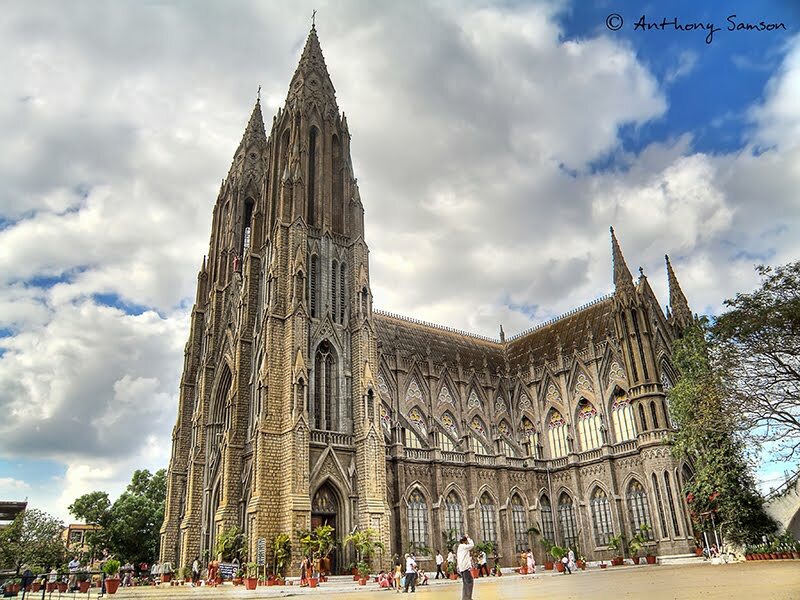 Known as the Cathedral of St. Joseph and St. Philomena, this church came into existence in 1936 under the rule of Sri Krishnarajendra Wodeyar Bahadur IV. This church is built in honor of a Latin Catholic saint named St. Philomena. The floor design of this church is in the shape of a cross and its architecture is inspired from Neo Gothic style. It was primarily built for the European population that resided in Mysore during that time. This church features the remains of St. Philomena that are preserved till date. 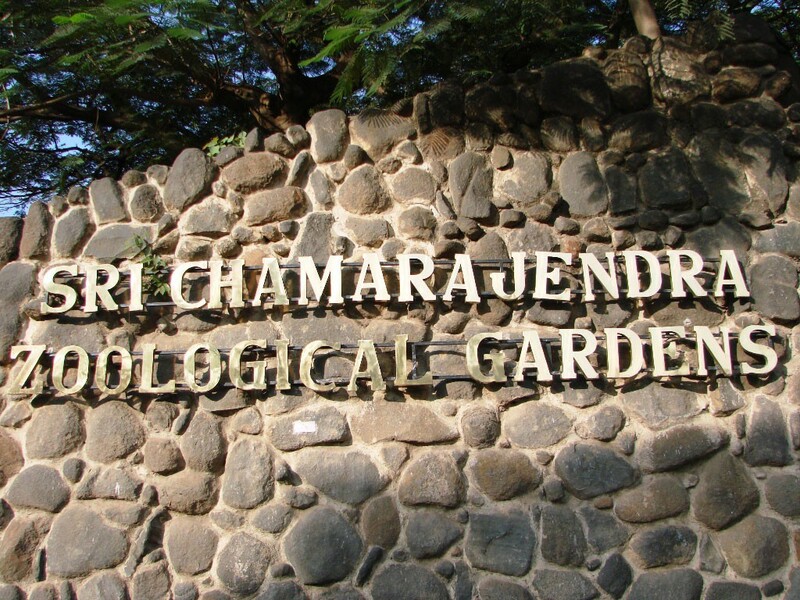 The Mysore zoo or Shri Chamarajendra Zoological Gardens was established in 1892 by Maharaja Sri Chamaraja Wodeyar (ruler or Mysore from 1868-1894). It is said to have completed 100 years in 1992. This zoo came into limelight when an elephant delivered a baby elephant through cesarean delivery. All the animals here, namely, Tigers, Lions, Jaguars, Leopards, Sloth bears etc., are kept in well-maintained enclosures and it is a visual treat to watch them move around freely. 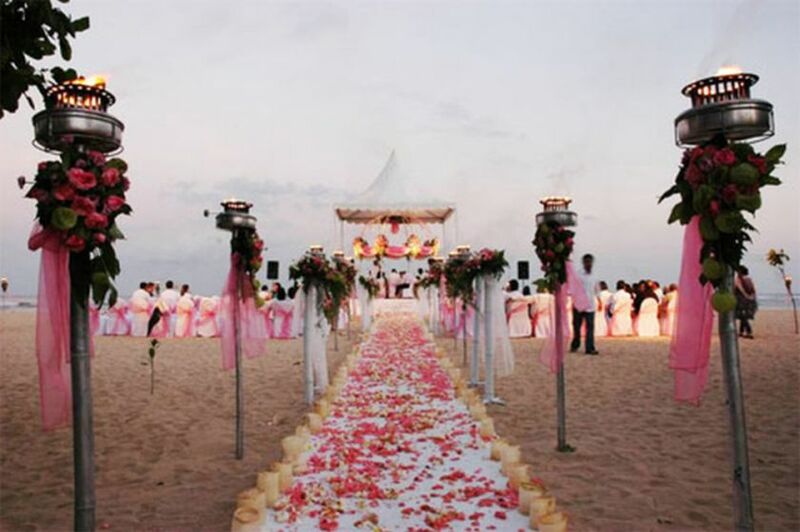 Located on the banks of River Cauvery, this mystical town is known for its sand dunes. This place is named after its two local chieftains – “Tala” and “Kadu”. As per history, Talakadu was once renowned for its beautiful temples numbering more than 30, which were buried under the sand due to a natural disaster in the 16th century. These temples are extracted from sand in every 12 years for worship. The five lingams of Lord Shiva – Pathaleshwara, Maruleshwara, Arkeshwara, Vaidyanatheshwara and Mallikarjuna temples – attract a huge number of devotees on the occasion of Panchlinga Darshana that comes in every 12 years. The Folklore Museum of Mysore was established in 1968 in the Jayalakshmi Vilas Mansion of Mysore. The first reason to visit this museum is its wide collection of over 6,500 items featuring folk musical instruments, traditional farming equipment, literature, leather-made puppets, figurines of Gods and Goddesses, costumes of folk dramatists and dancers, crowns and a lot more. The second reason is its settings as it is located within an imposing mansion, which is a historic and architectural site in itself. The Hanuman crown of Kugala Balli village is one of the major attractions here. Mysore is a city filled with heritage forts and palaces and the festivals celebrated here speak of its rich culture and traditions. It is one of the few places in South India that portray the richness and grandeur of South Indian kingdoms in the most beautiful way. 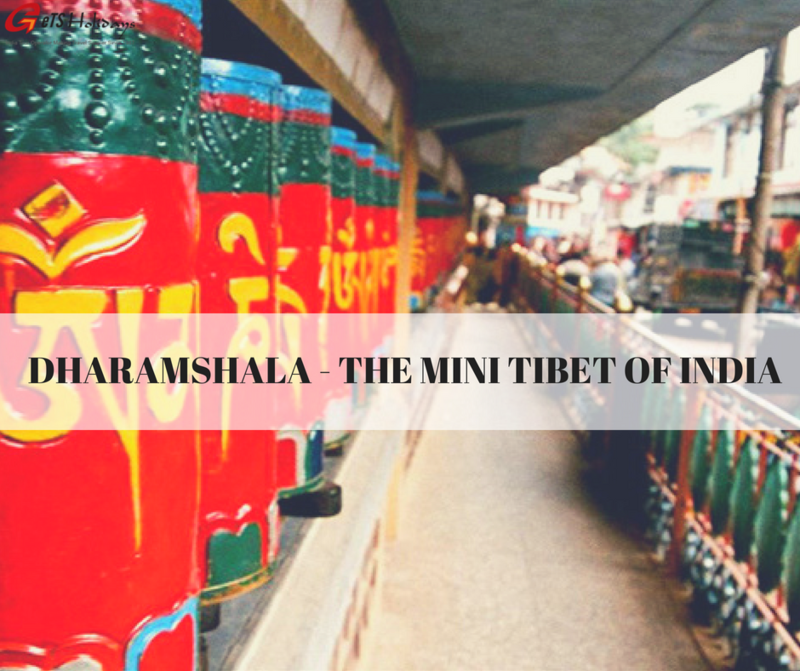 This makes it a must-visit for every traveler in order to get a step closer to the impressive history of South India.